Gadeeja Abbas is the Communications and Multimedia Specialist for the Communications and Strategic Information (CSI) Unit based at the Cape Town office. She has several years of experience as a trained multi-platform journalist, with expertise in online, social media, multimedia, broadcast and print platforms. As the former Chief-Reporter for the Weekend Argus and the Daily Argus, she has reported on issues stemming from societal injustices within impoverished communities, monitored court proceedings in high-profile cases and dabbled in reporting on politics. Her passion is inspiring social responsibility by challenging perspectives through storytelling. 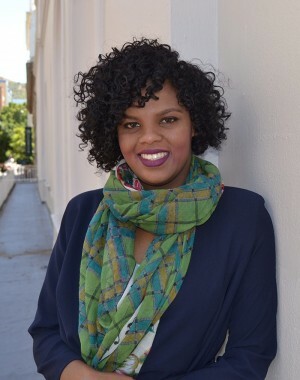 Before joining the CSI team at Sonke, Gadeeja cut her teeth in online journalism at Media24 and Eyewitness News, where she created real-time content for online and social platforms. She completed her Bachelors of Technology in Journalism at the Cape Peninsula University of Technology in 2015. Gadeeja also has a National Diploma in Journalism completed at the Cape Peninsula University of Technology in 2012.